Correction: Which Wich has informed us that this code is not valid. It was intended for customers who had purchased a gift card, not for general circulation. Stores are voiding sales that use this coupon code. Good news for anyone who was dreading eating Monday’s soggy leftover meatloaf again today: Sandwich chain Which Wich is offering $5 off any online order of $5 or more through Jan. 31, 2017. With sandwiches starting at just $5.75, this means you could score a whole meal for next to nothing. 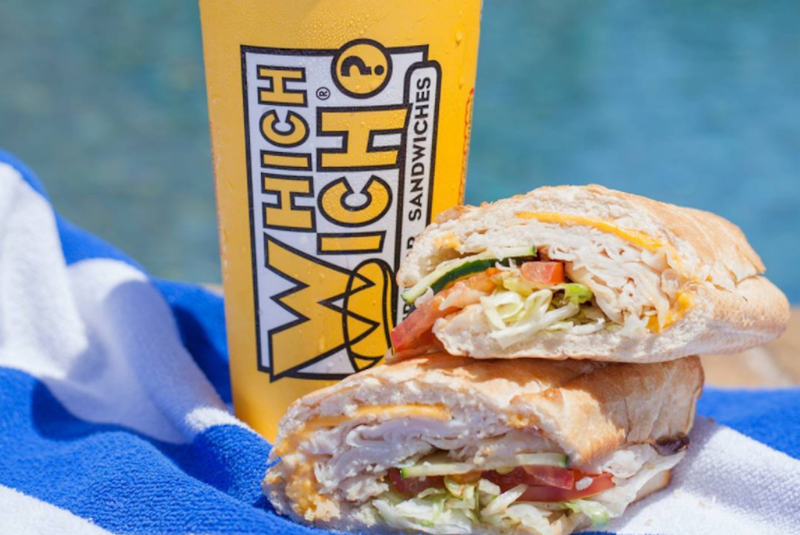 Which Wich offers a wide variety of sandwiches, wraps and salads, and it’s all seriously customizable. (I’m not kidding — there are four distinct varieties of mustard alone.) There’s even a good selection of vegetarian and vegan options! To take advantage of this deal (and you should, because that’s five whole dollars of free sandwich), follow these steps. If you’re still on the fence about this one, let me tell you something: Which Wich has cookies. I mean, you could feasibly get four totally free cookies today because you’re an adult and you do what you want. Click here to find the nearest Which Wich. Then select the “order pickup” option to save a few more bucks by avoiding a delivery fee. If your location doesn’t offer delivery, you can still order online. Use the super convenient online ordering feature to customize the perfect sandwich. A peanut butter and bacon sandwich slathered in Buffalo sauce? Hey, if that’s your thing. Make sure your order comes out to at least $5, then use coupon code RN6PCPMP to knock $5 off your total during checkout. Because for some reason, food just tastes better when it’s free. That’s it folks! Now go forth and enjoy your custom sandwich creation. Your Turn: How will you use that extra $5? Grace Schweizer is a junior writer at The Penny Hoarder. Excuse her while she makes a Which Wich run — those cookies aren’t going to eat themselves!